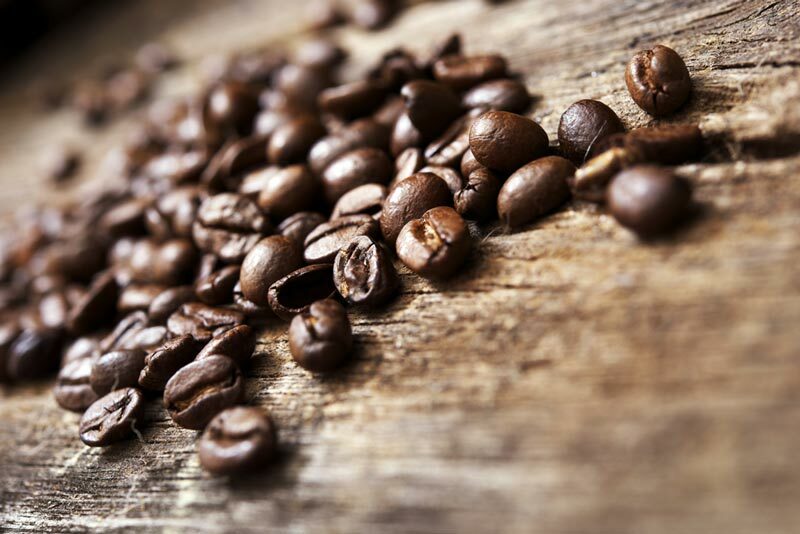 At Fox on the Run, we serve only the freshest ingredients from local sources wherever possible including roasted meats (not processed), homestyle soups, baked goods made from scratch, and Fair Trade coffees and teas. 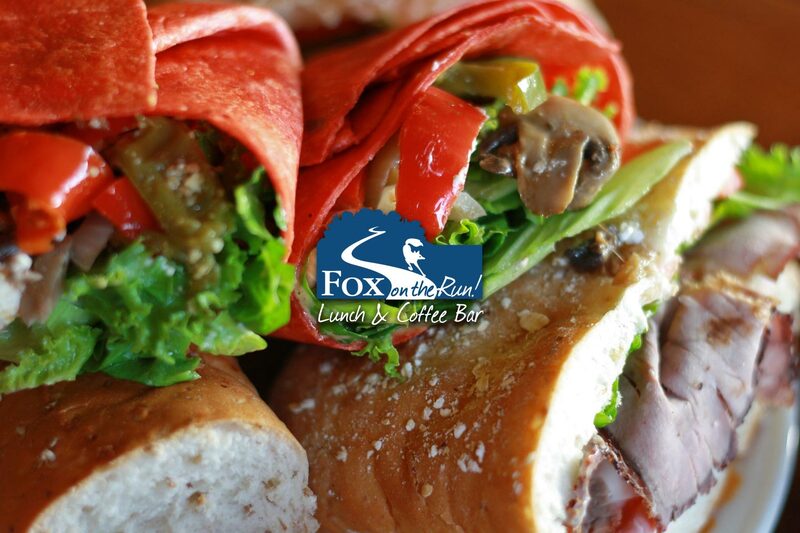 Eat in, take out, or catered to you – we serve it any way you want at Fox on the Run. 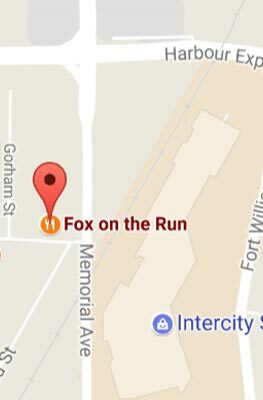 Fox on the Run Lunch & Coffee Bar on Memorial, Fox on the Run Catering at your home or office, and now Fox in the Box Burger and Stuff. 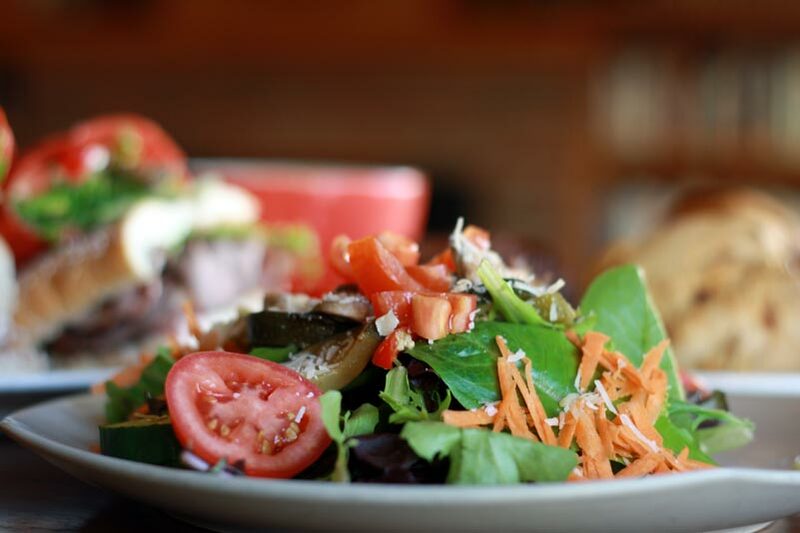 Fresh, local food that’s good to eat and good for you! Here are a few of the fresh lunch items on today! Shaved roasted beef, roasted turkey, smoked ham, in-house made stacker sauce, lettuce, tomato, onions & Swiss cheese on our 12-grain loaf. 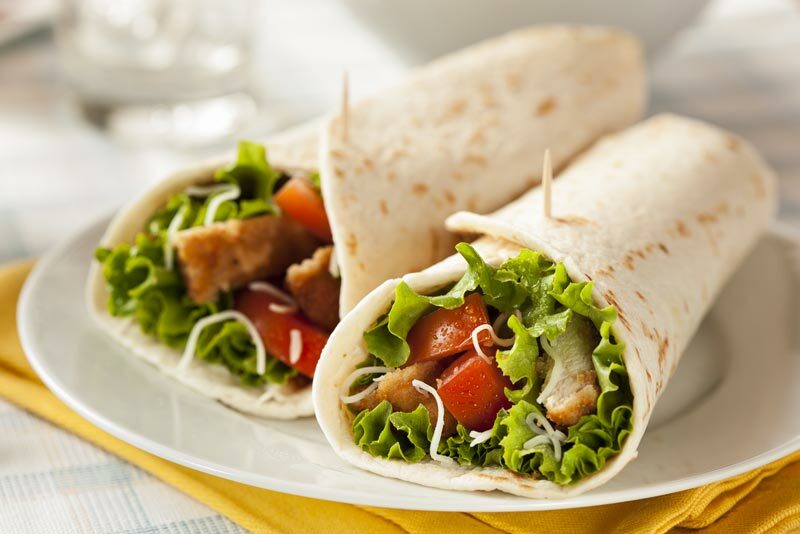 Roasted chicken, dilled Gouda cheese, pesto & garlic mayo, lettuce, tomato & diced avocados. Turkey, cheddar cheese, avocado & bacon. Various combos featuring a Soup of the Day and sandwiches, salad, or veggie plate. From light French breakfast to full hot breakfast with choice of fresh fruit or juice, served with tea and coffee. Choice of various pasta dishes served with garlic bread. Including Deli sandwiches, assorted wraps, and boxed lunch. Choose from a wide variety such as Mini Crab Cakes, Grilled Shrimp and Pineapple Skewer, Coconut Chicken, and Vegetable Spring Rolls. 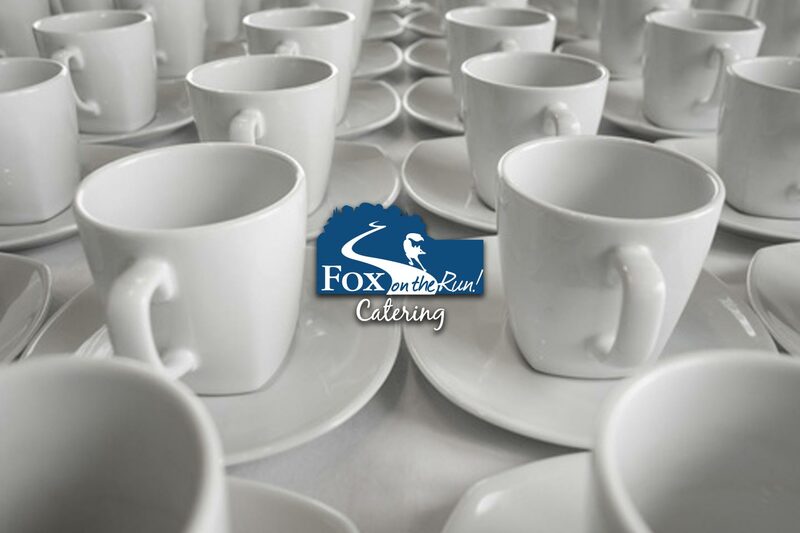 For your next event, try something a little different: the Fox on the Run Espresso Bar! 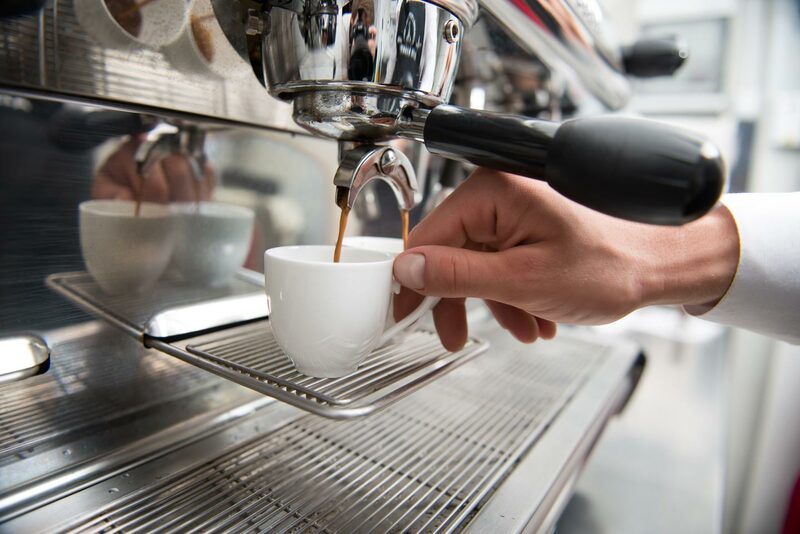 Treat your guests to real, Italian-style cappuccinos, espressos, lattes, coffee-based drinks, and more. Great for weddings, catered desserts, after-dinner socials, or as a complement to your regular bar service.